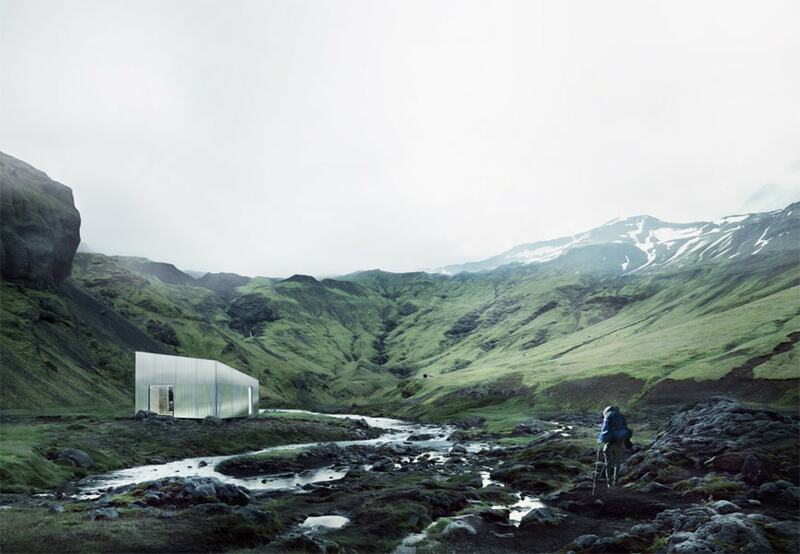 The winners of the Iceland Trekking Cabins architecture competition, organized by Bee Breeders, successfully tackled a challenging brief, requiring them to create a shelter for trekkers in a vast, dynamic landscape which varies across each location and is defined by topographic contrast and ecological factors. 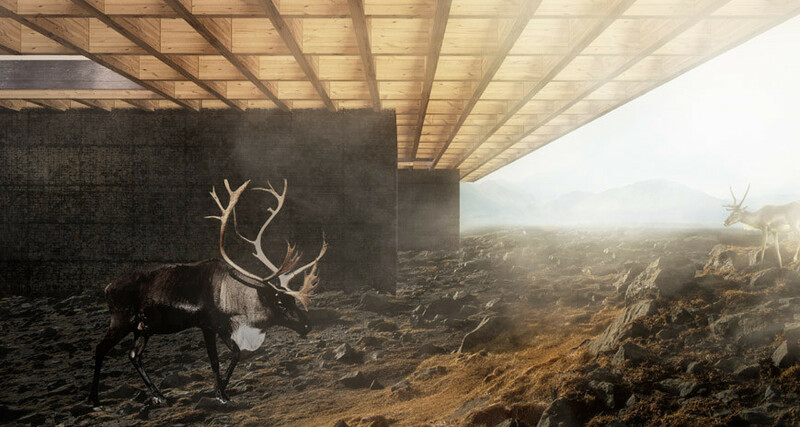 The first place winners, DEAGAN MCDONALD and KELSEY NILSEN from Canada, were recognised for their clever articulation of the most basic elements of shelter – the roof and wall – to create a fully immersive experience. 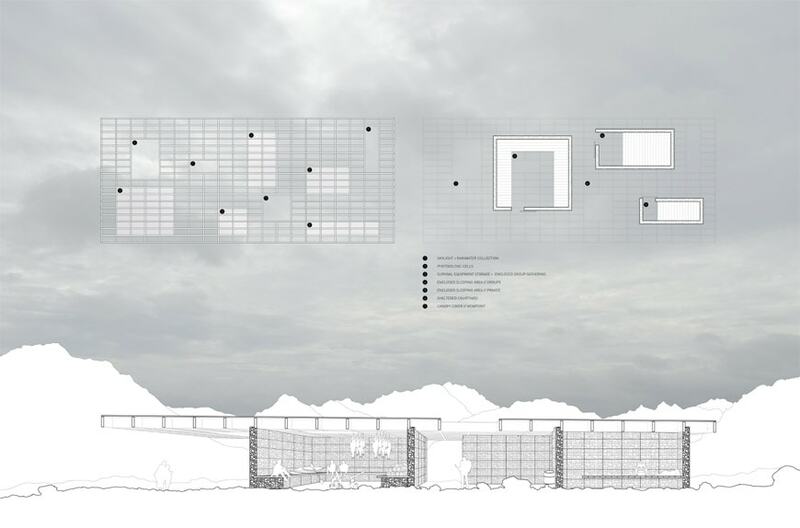 It featured an expansive roof that allows the textured landscape to permeate through, and gabion walls from local stone that also create an external gathering space. First place, DEAGAN MCDONALD and KELSEY NILSEN. 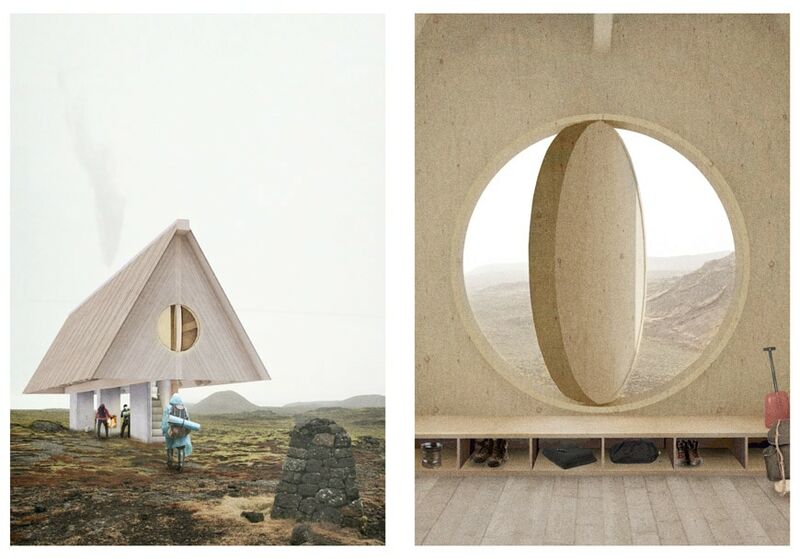 The success of the second place proposal, from a Swedish team of ROBIN KRASSE, KARL LAGERQVIST and MATTIAS DAHLBERG, lies in its simplicity. 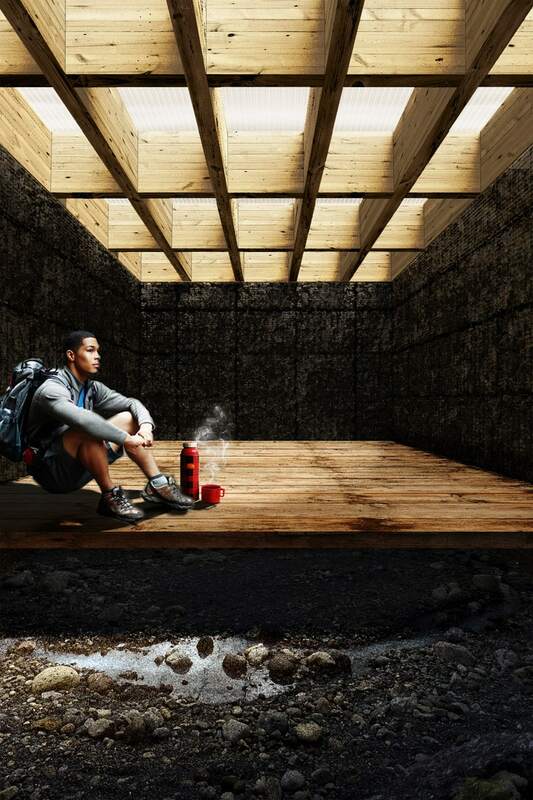 With three aligned and evenly spaced concrete cores that contain the circulation, hearth, and bathroom of the cabin, these elements allow for extra shelter beneath the structure to create a public gathering space while solving the difficult problem of maintenance under heavy snow conditions. Second place, ROBIN KRASSE, KARL LAGERQVIST, MATTIAS DAHLBERG.